There are ever so many difficulties in the life of a blogger. Not knowing what to write about, not getting enough web traffic, not having enough time to write. But luckily for you, some very smart people created something to solve all these problems and more: the tool called BuzzSumo. 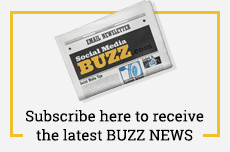 BuzzSumo is a tool used for researching, analyzing, and monitoring the progress and success of your online content. It takes all the information you need about the action on your blog, and condenses it to efficiently give you what you need to know. Some of its best features will help you find the trendiest topics and give you the inspiration to write that viral blog you’ve been dreaming about. Here’s a few ways you can use BuzzSumo to help out your blog. Deciding what to write about can be the most frustrating and difficult part about having a blog, especially if content interaction and shares are your goal. Thankfully, knowing what to say can be found a number of ways with BuzzSumo. Use the “Top Content” section to see what ideas others have been successful with. This will let you see what social media site is getting the most shares of an article, giving you insight into what people like to read about. If it’s one of those days where you’re completely lost for ideas, you can search BuzzSumo for trending content to rewrite. But don’t just copy what someone else wrote. Instead, think about how you can put your own unique spin on the material. Who knows, you may even end up with a better blog piece than what you started with! BuzzSumo is great because it lets you monitor the success of others, not just your own blog. Keep an eye on the writers with a consistently high number of shares, and take note of what they do. Monitor what they post, how often, and who shares it, and then follow their example. Headlines are often the most important element of a blog- more often than not it’s what convinces someone whether to read or share your content. Instead of taking a risk, you can try to snag a headline that’s already worked. To do this, search for a keyword similar to your blog’s topic and analyze the headlines with the most shares. Then, take the best one as a template for your own blog’s title. The alerts feature is part of the paid “pro plan” of BuzzSumo, but the perks of these alerts just might be worth the money. You can set up an alert for any number of events, such as when someone links to your site, shares your content, or when an author you’re following posts new content. Alerts can also be customized for a certain threshold, say 50 shares, and BuzzSumo can even send these alerts straight to your email.